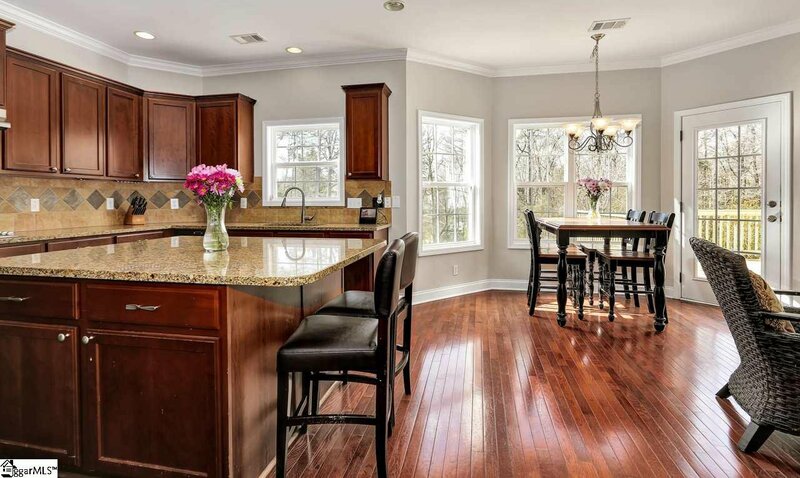 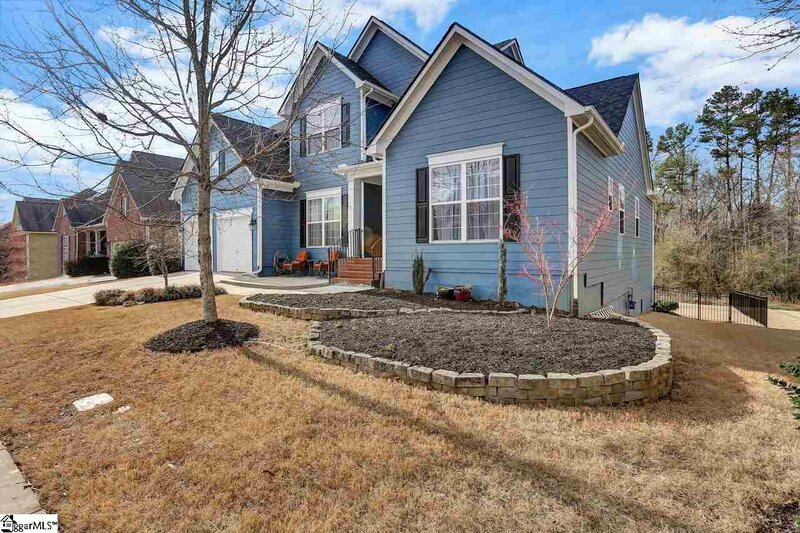 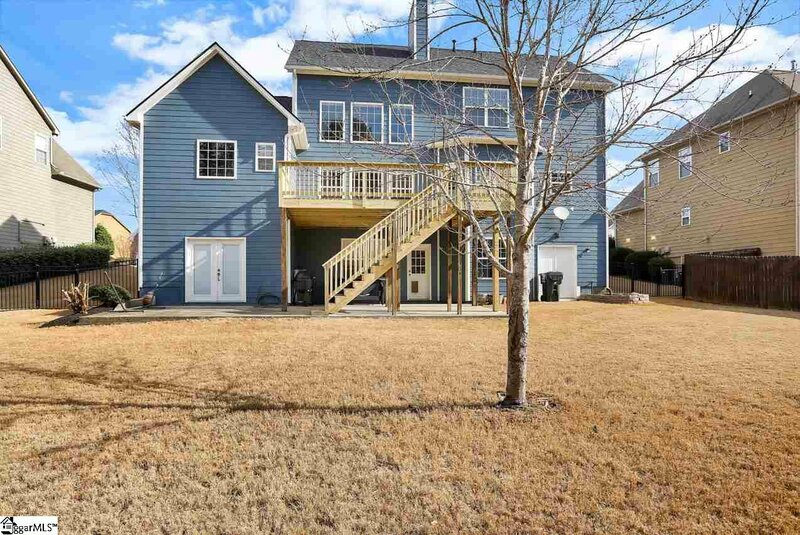 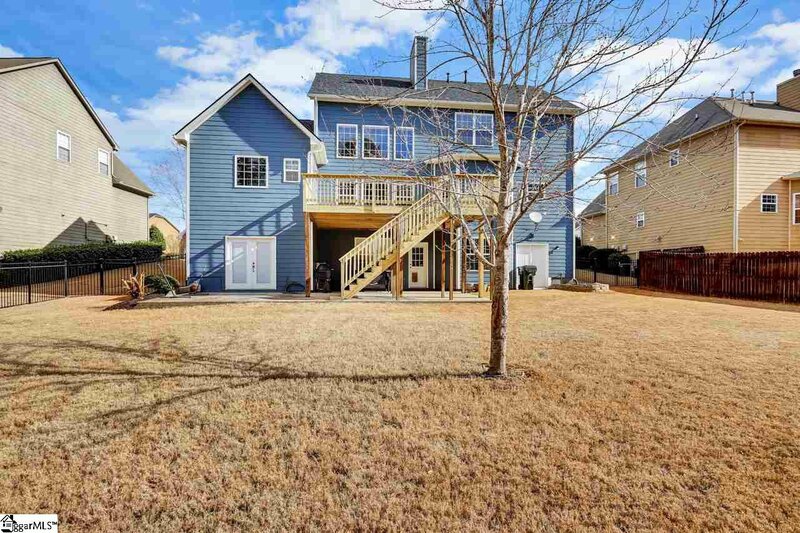 Beautiful 4 bedroom, 2.5 bath home plus office in Simpsonville. 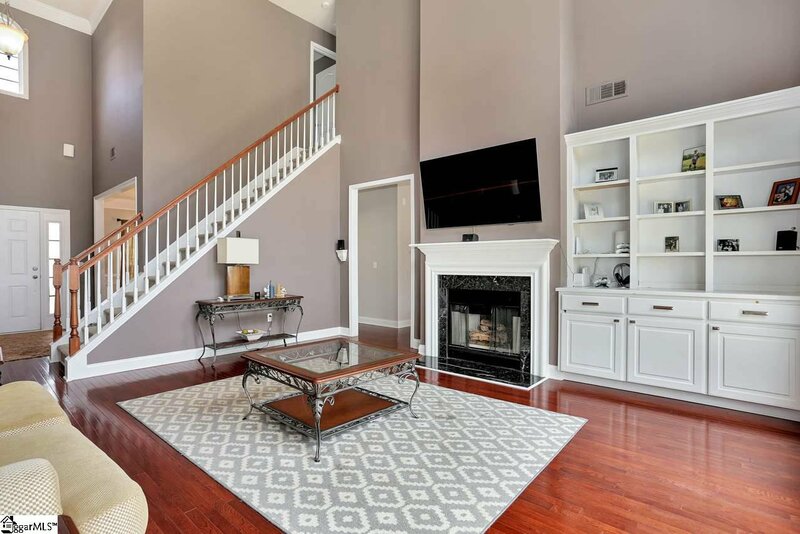 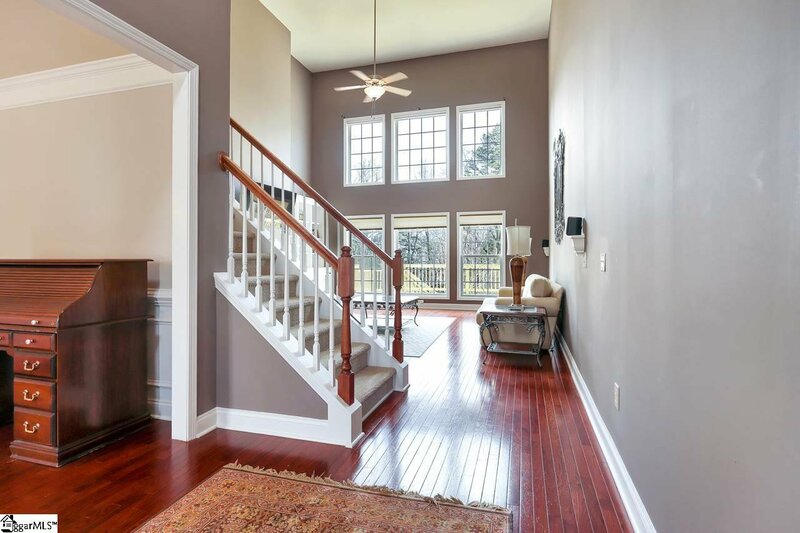 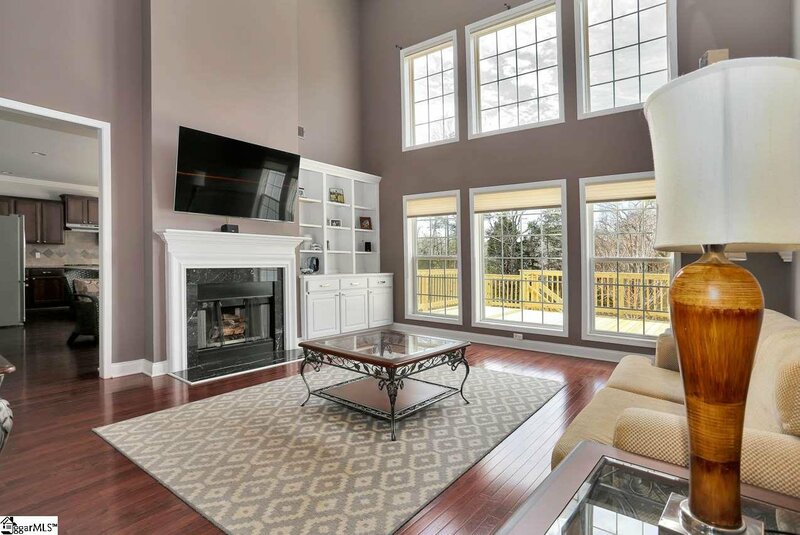 The two story foyer leads to the dramatic great room with soaring ceilings, tons of natural light and a double sided fireplace. 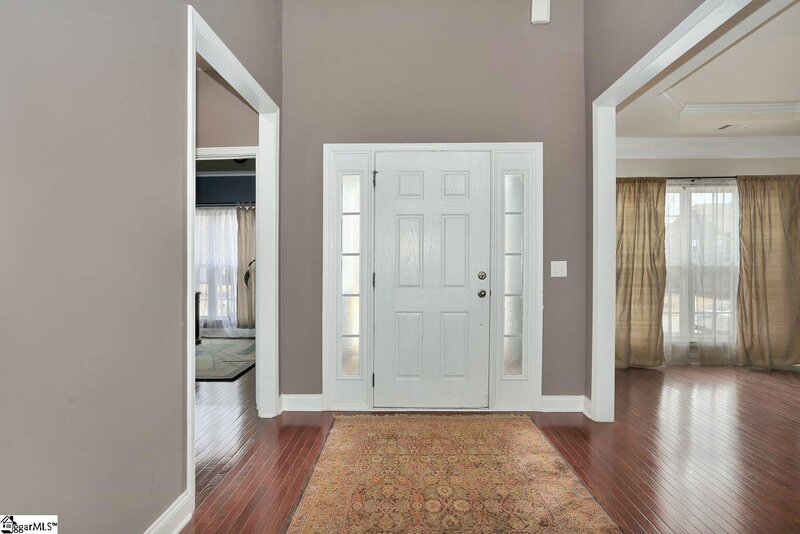 There are hardwoods throughout the main level. 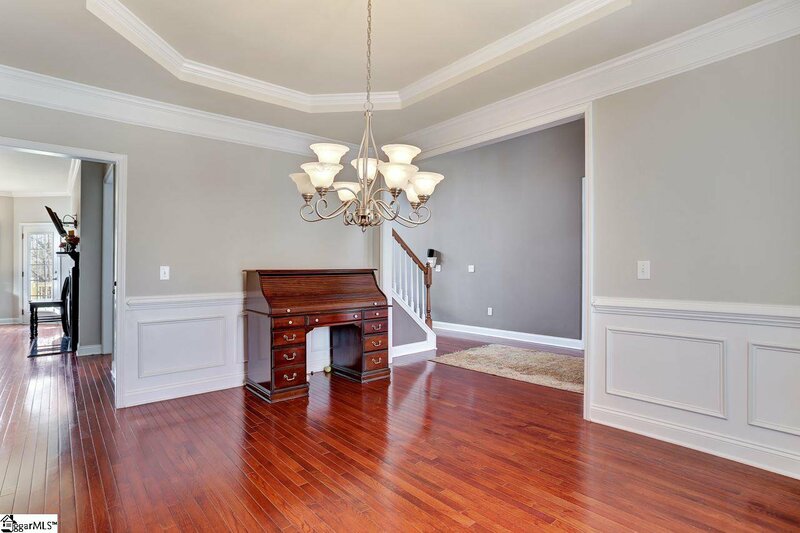 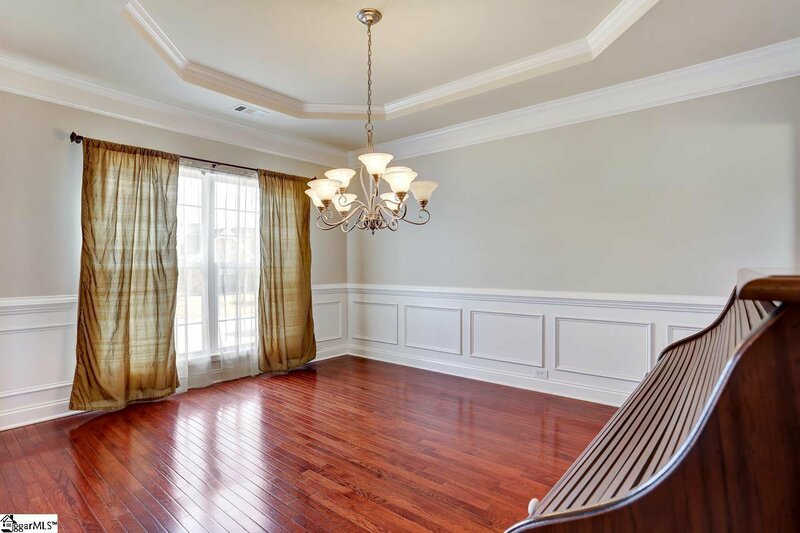 The formal dining room has a trey ceiling, picture and chair molding and has been recently painted. 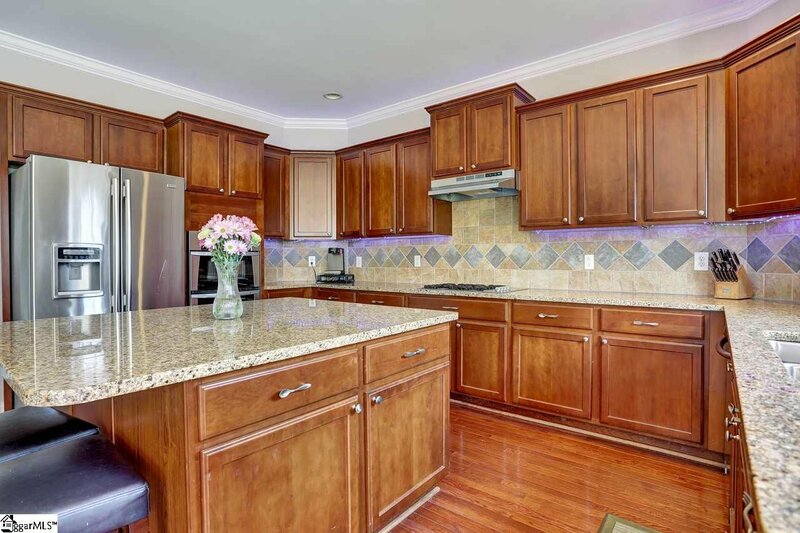 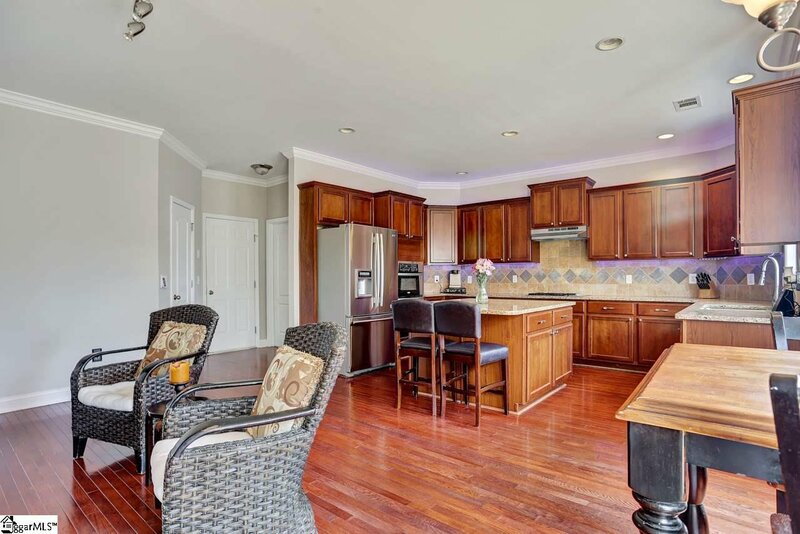 The kitchen offers plenty of space for the chef in the family with granite counter-tops, gas cook-top, double wall ovens, 42" cabinets and recessed lighting. 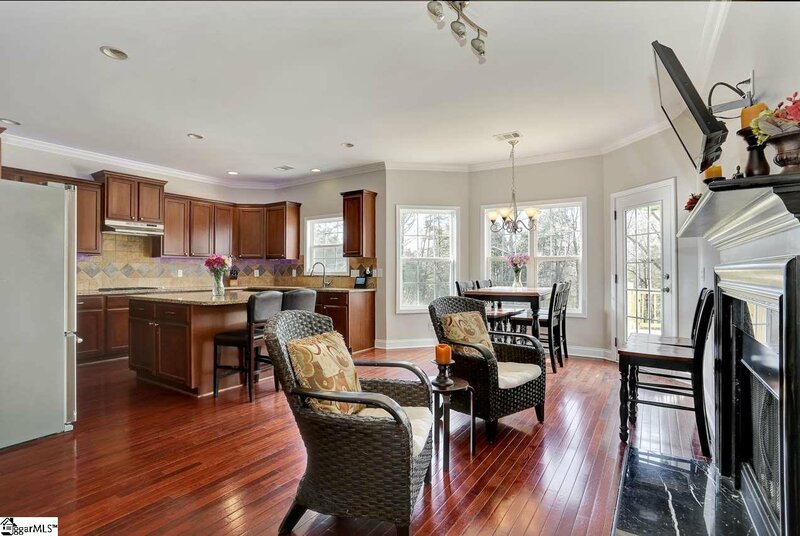 The kitchen also has a breakfast room/morning room with a double-sided gas fireplace. 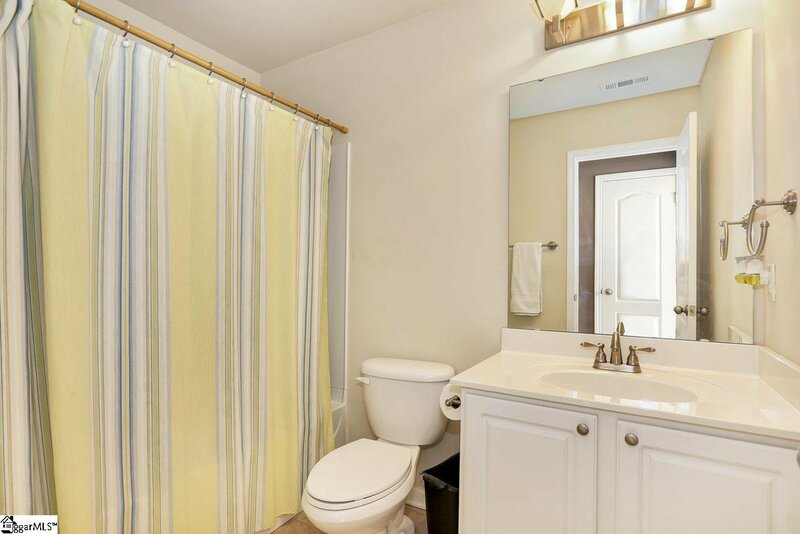 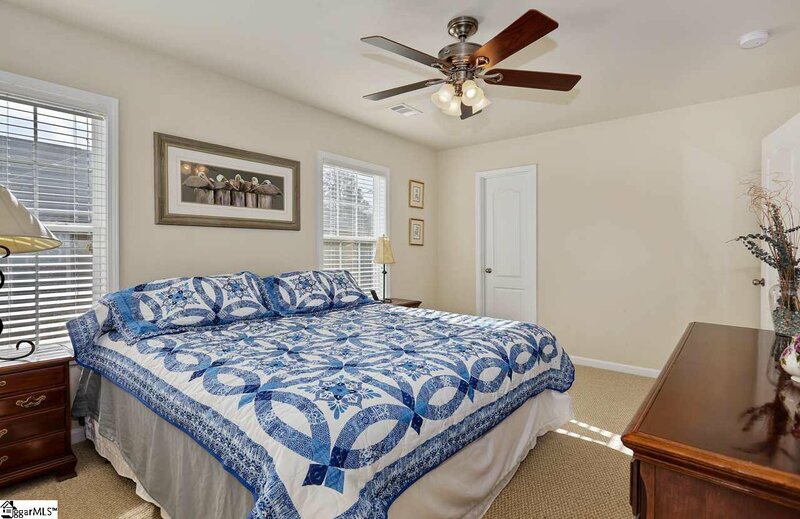 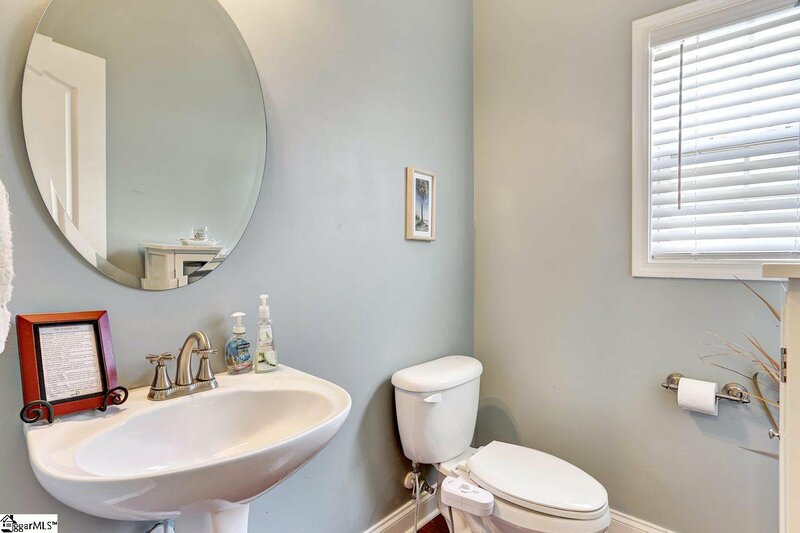 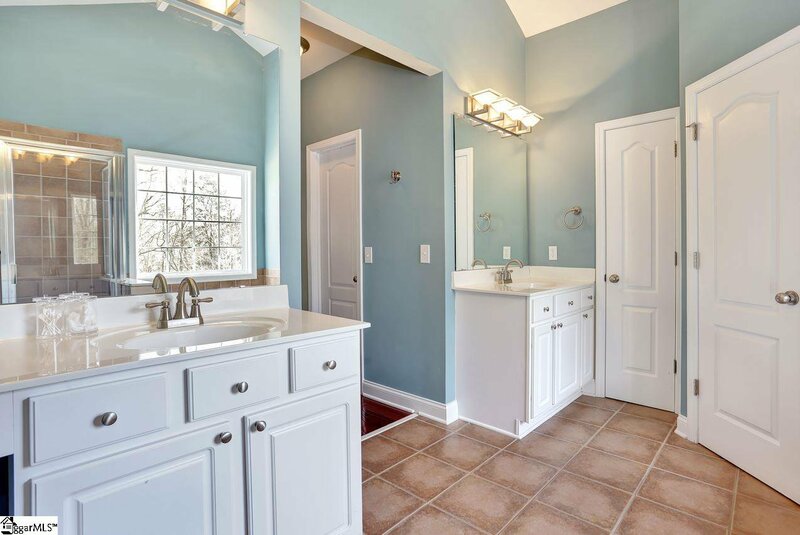 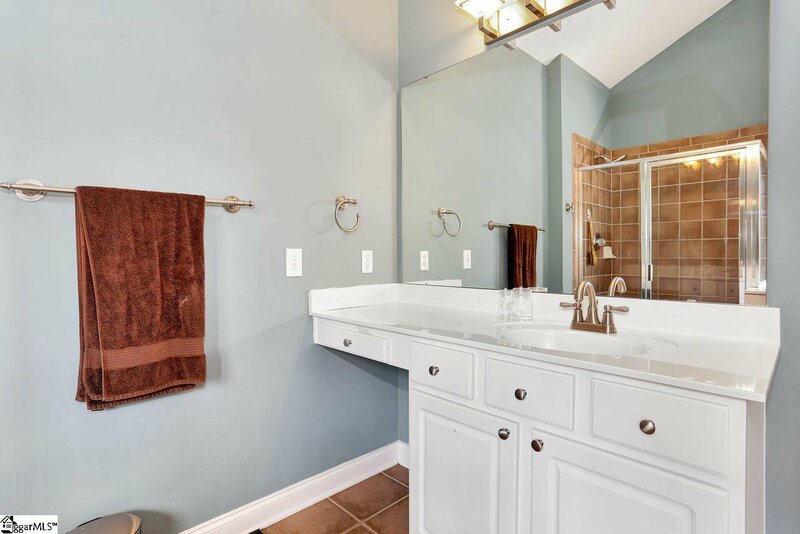 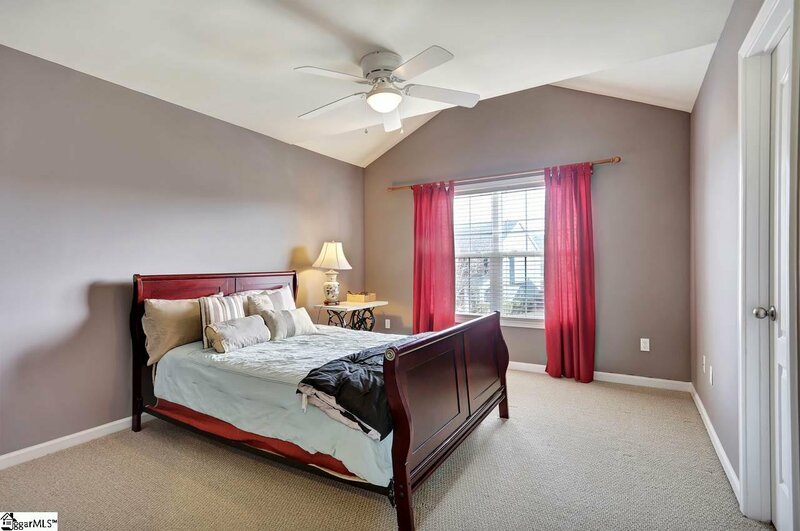 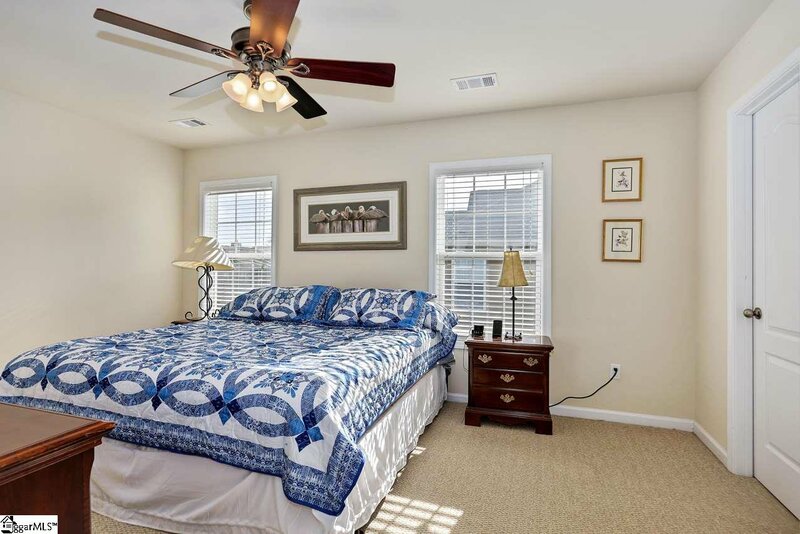 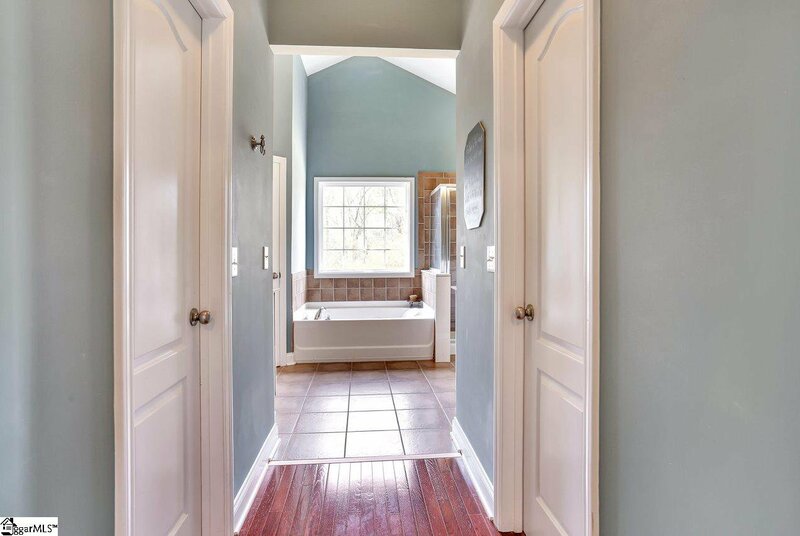 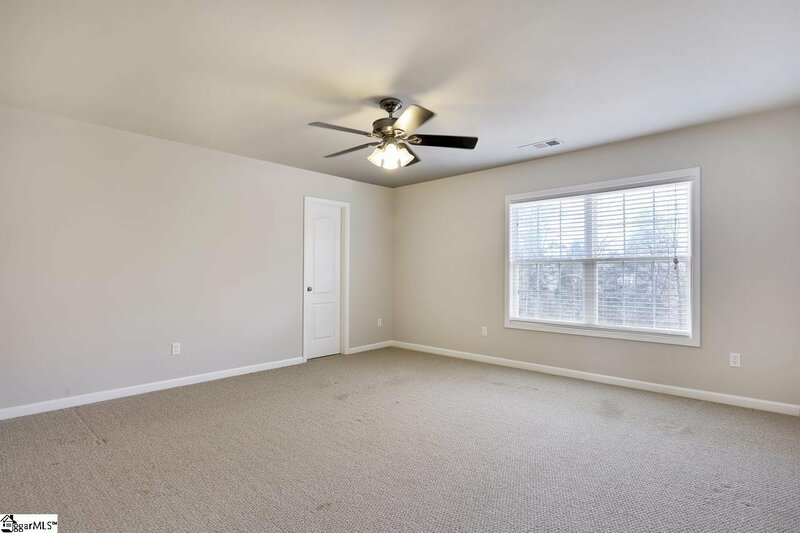 The master suite is on the main level and has 11' ceilings and double door entry into the bath with his/her closets, vanities, a tiled shower and water closet. 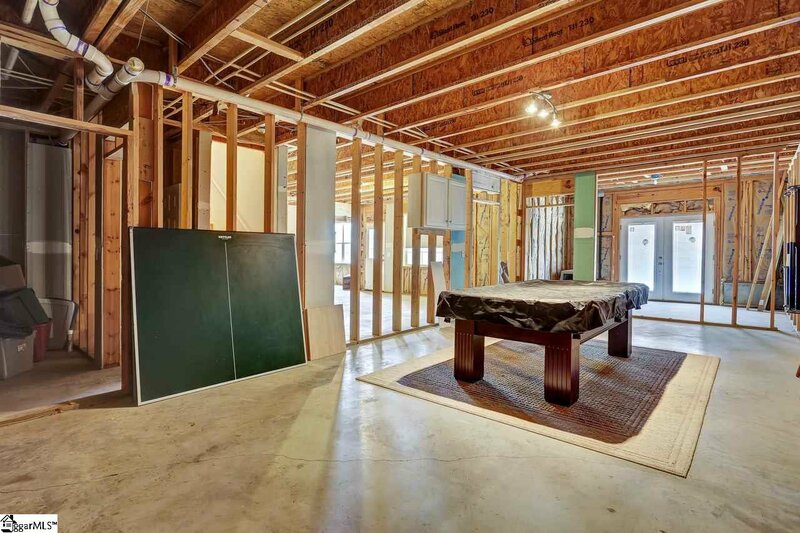 On the main level, there is an office with french doors which could also be a main level play room or den. 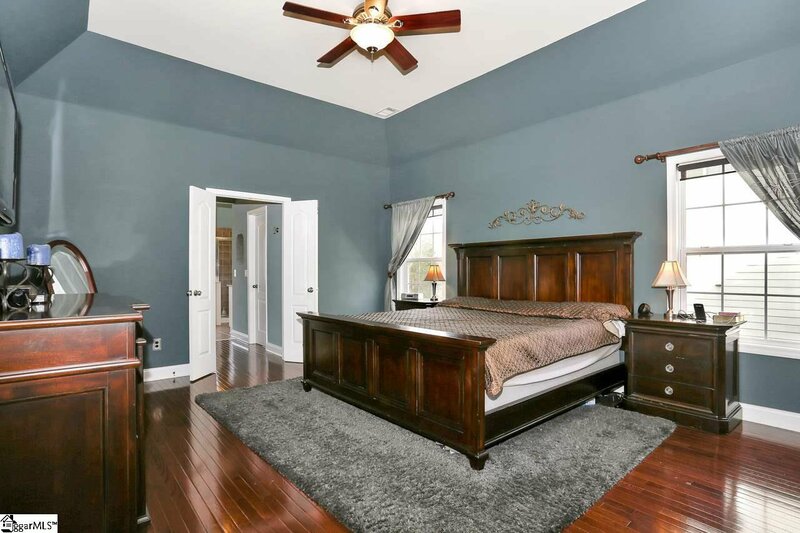 There are 3 over sized bedrooms on the 2nd level that are convenient to the newly painted hall bath. 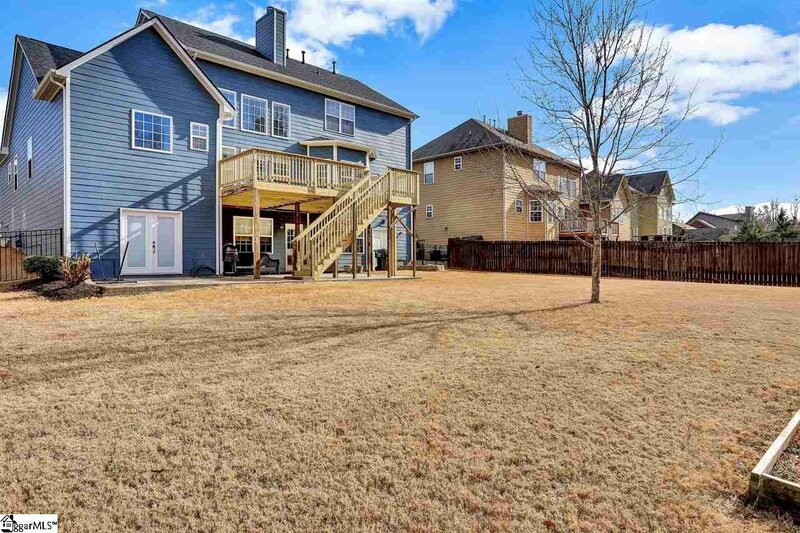 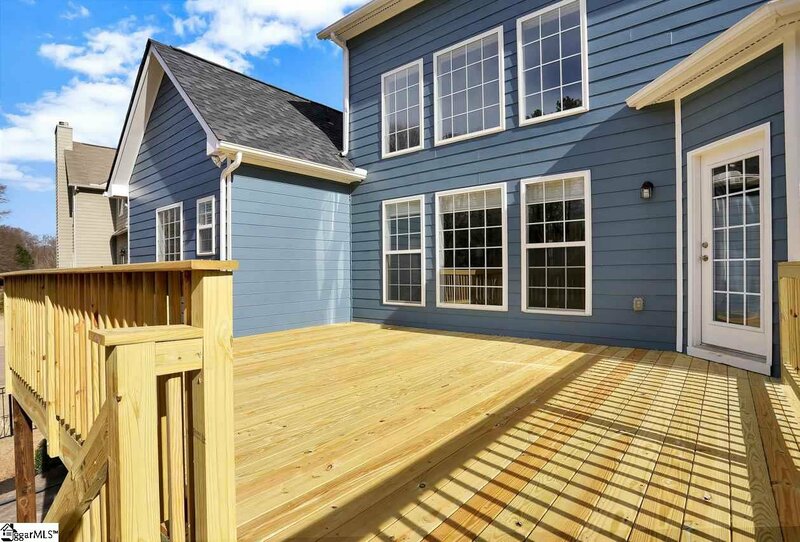 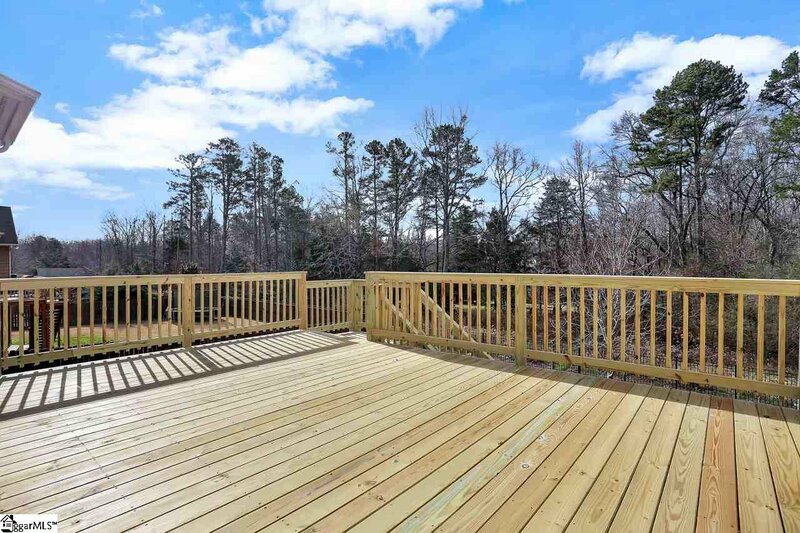 The seller has recently added a 16x20 deck that over looks the private, fenced backyard. 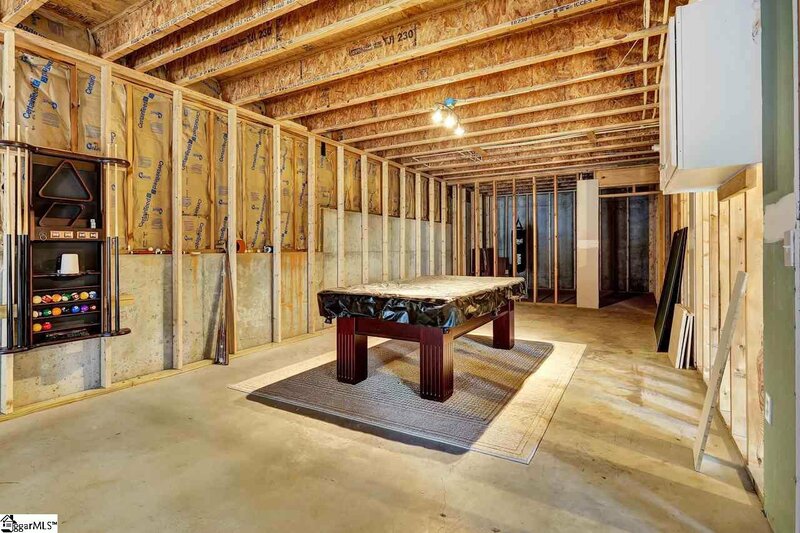 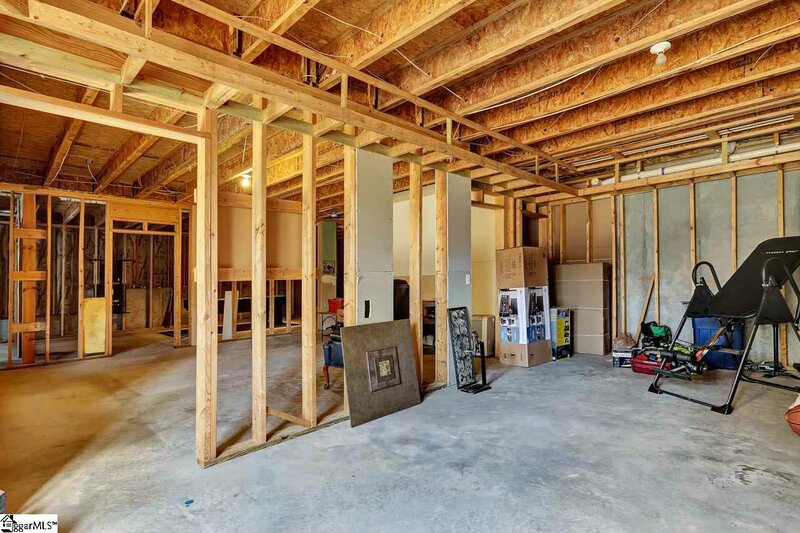 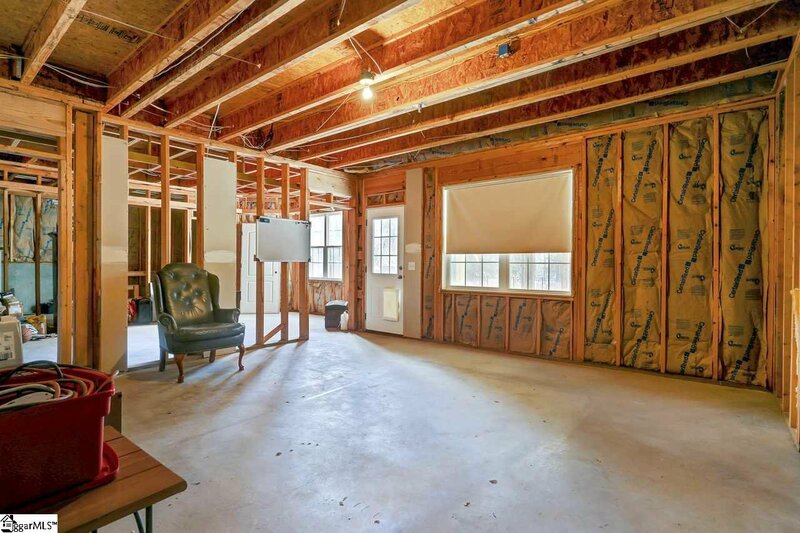 In addition to all of this, there is also approximately 2,000 square feet of unfinished walkout basement. 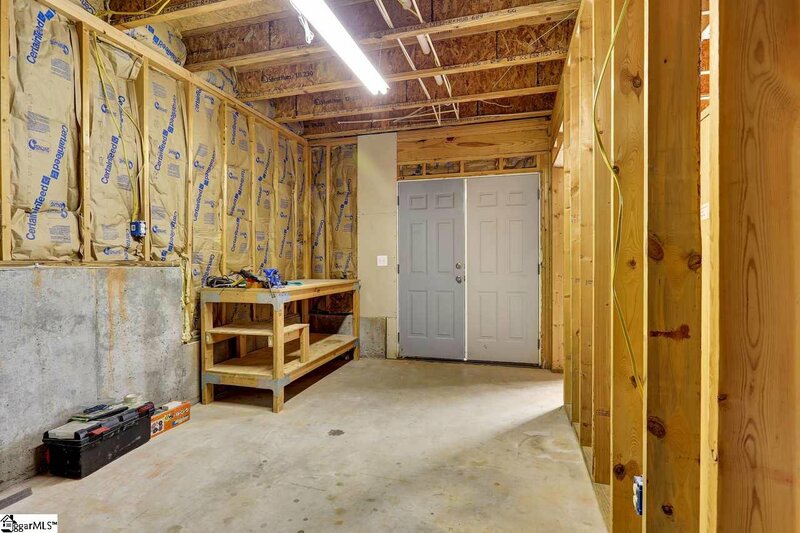 The basement has been plumbed for a bathroom and electrical. 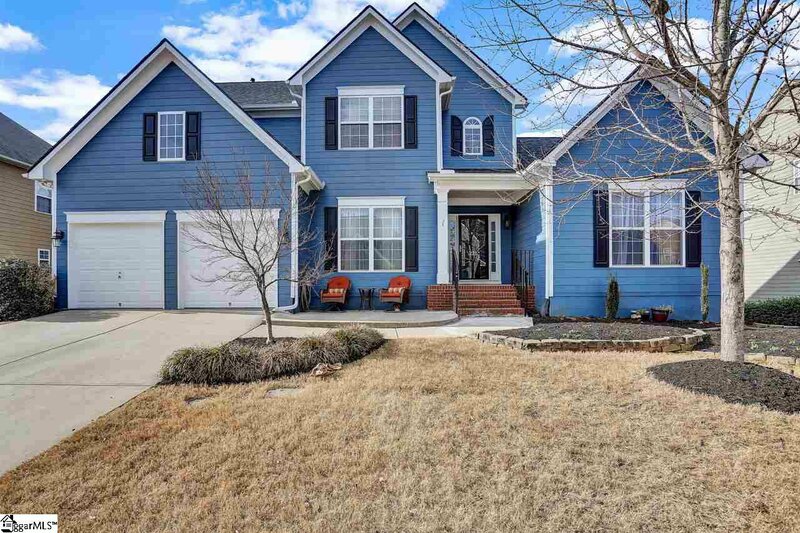 This home offers so much for the price. 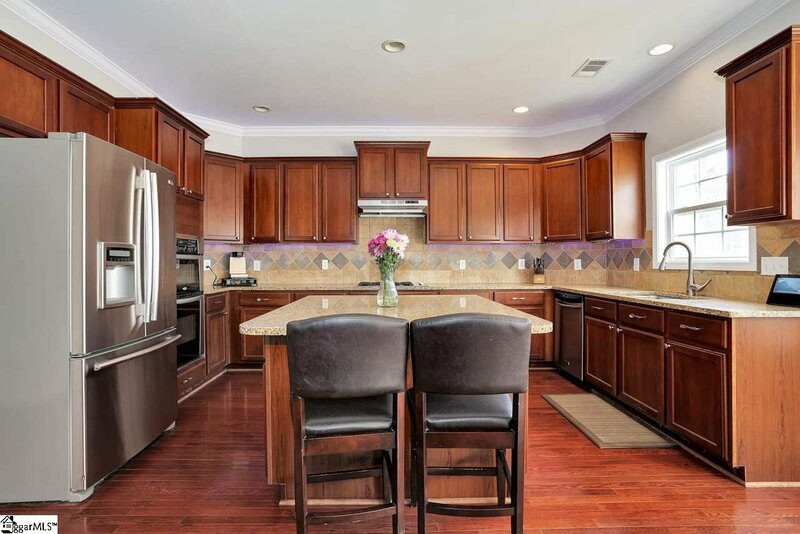 Listing courtesy of Keller Williams Grv Upst. 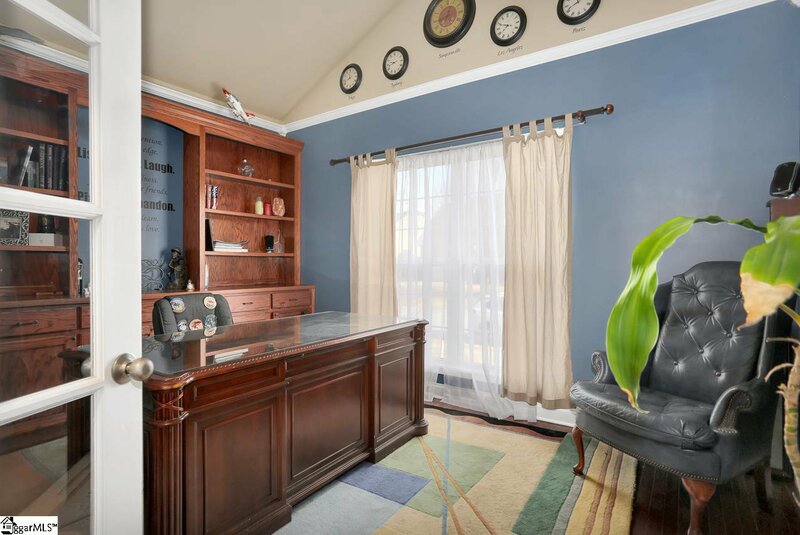 Selling Office: Wilkinson & Associates.